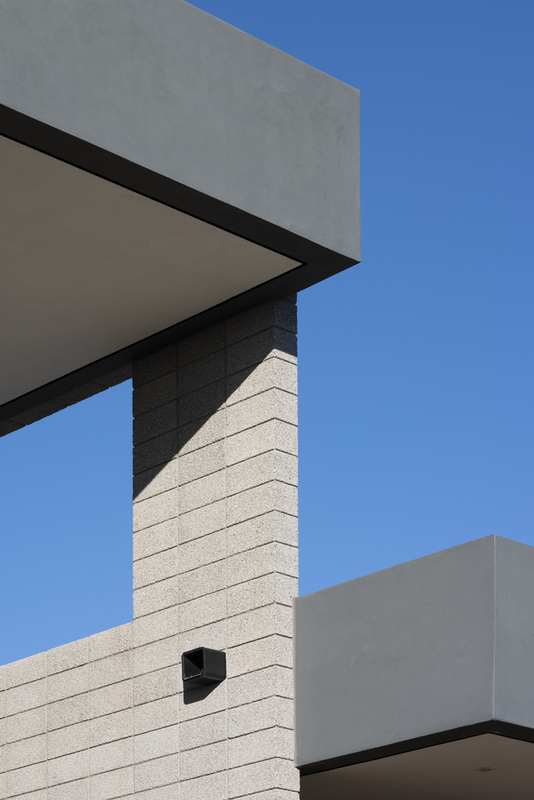 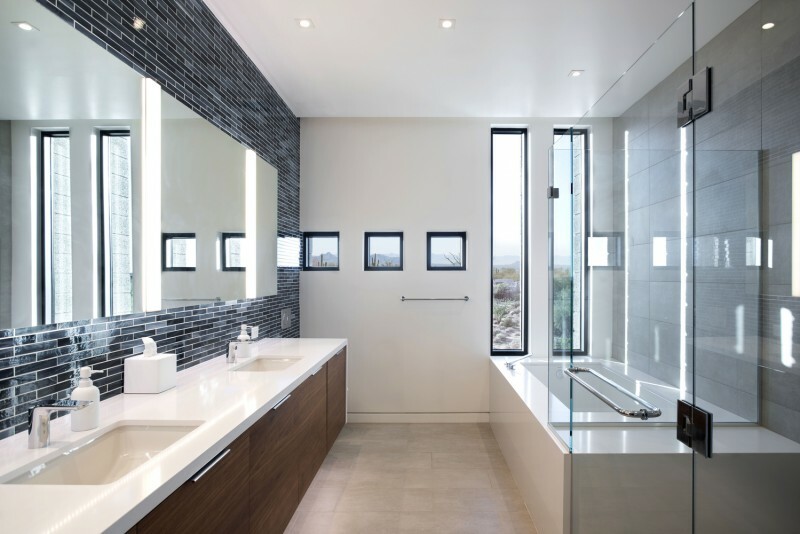 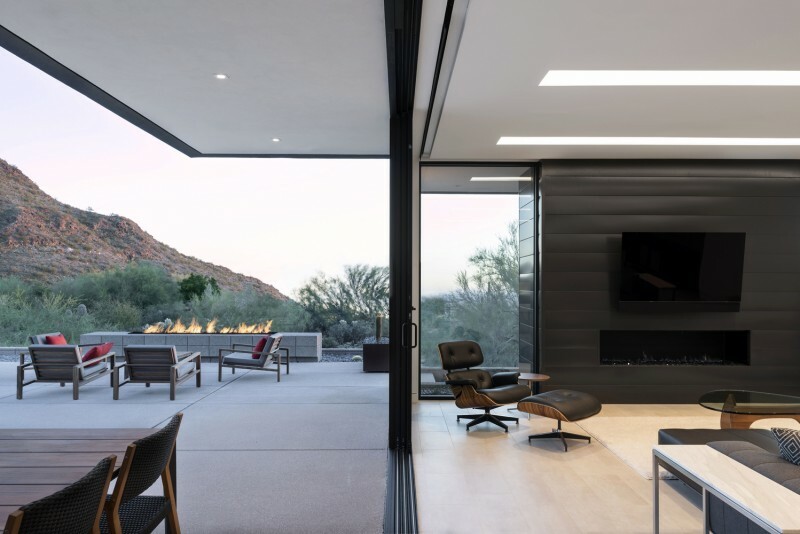 Troon Modern Residence, Scottsdale, Arizona. 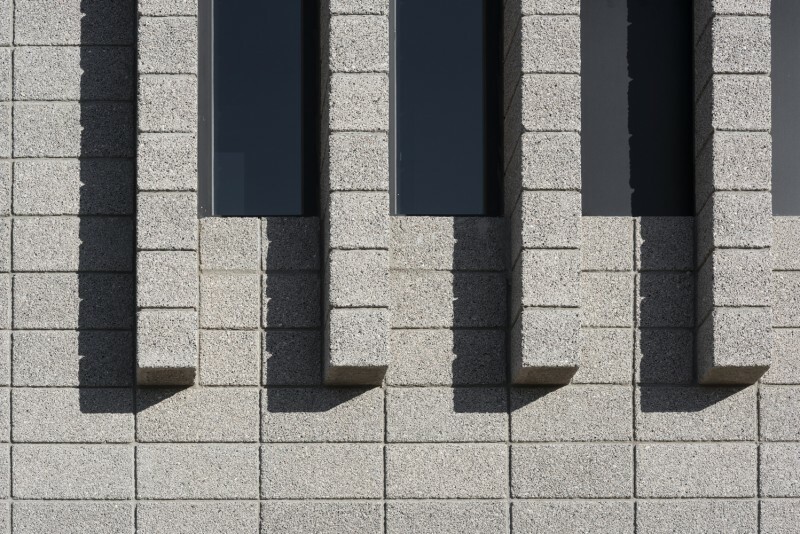 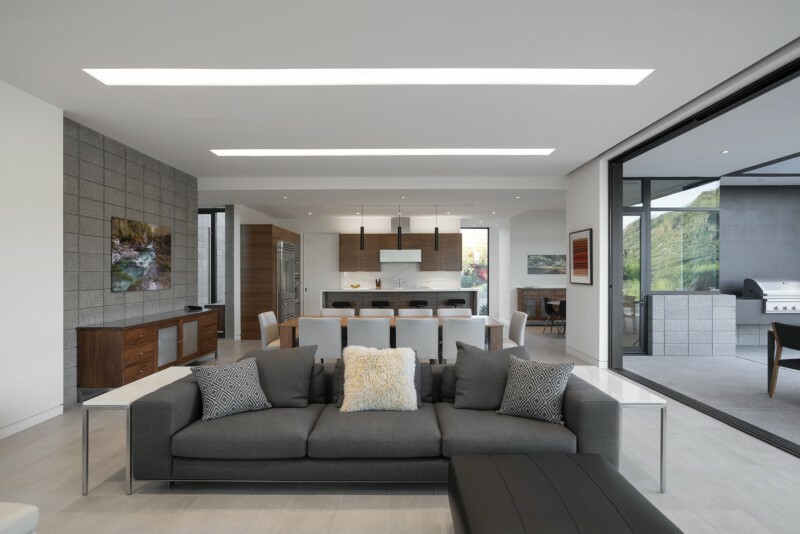 Kendle Design Collaborative. 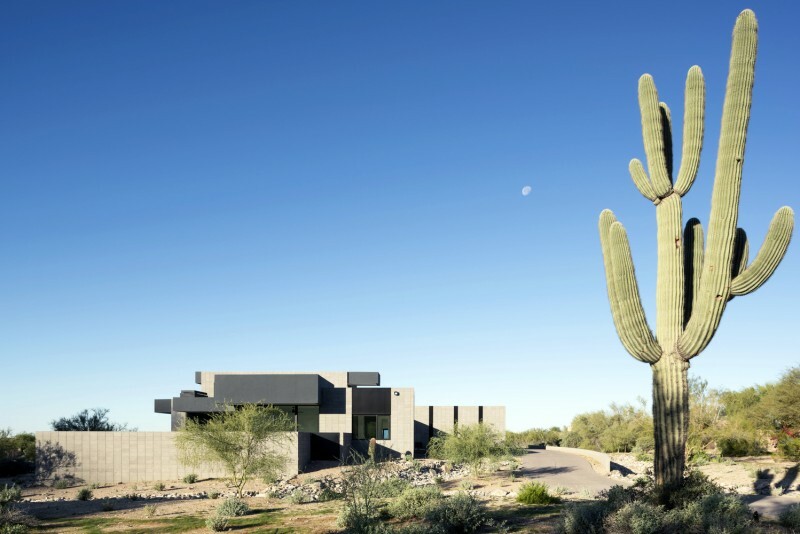 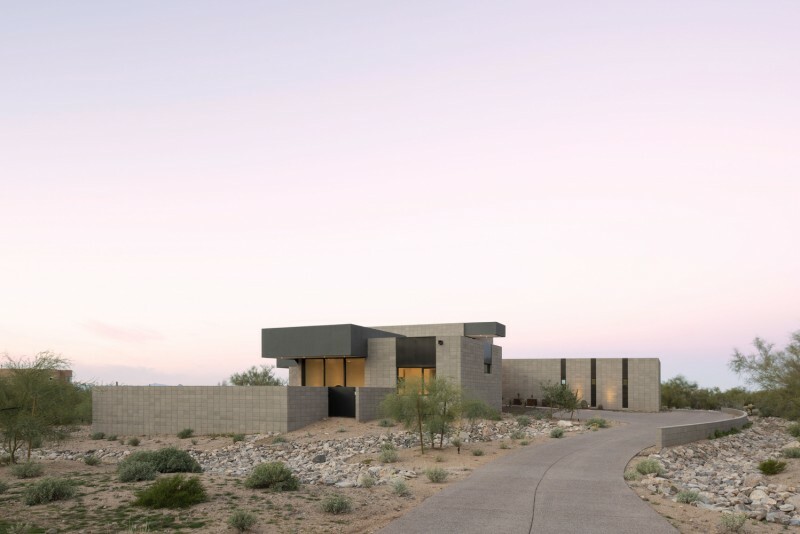 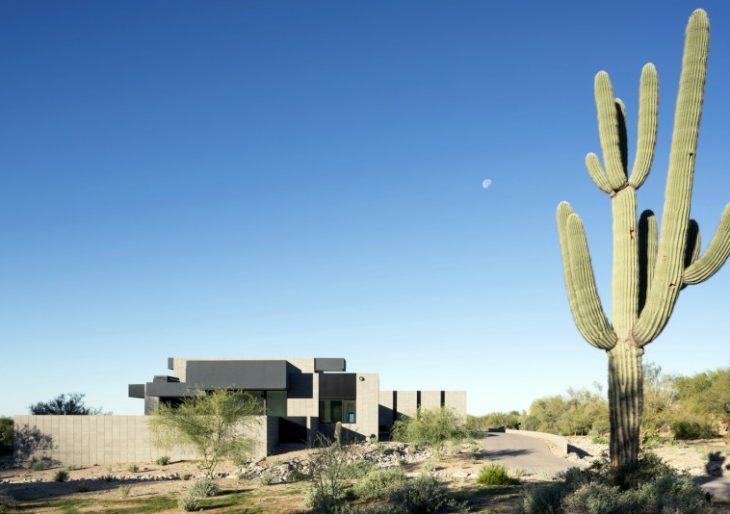 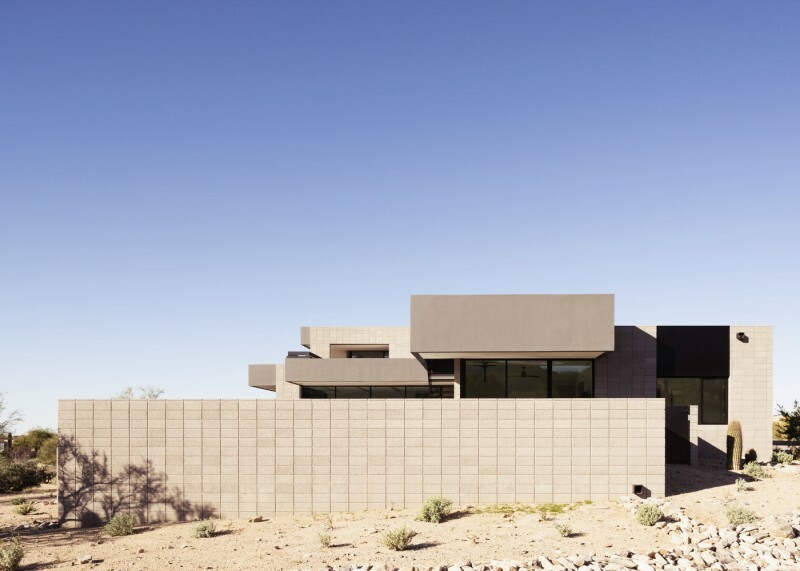 “A bold yet minimal residence in Troon North contrasts against the organic softness of the desert floor and rising Pinnacle Peak Heights to the east. 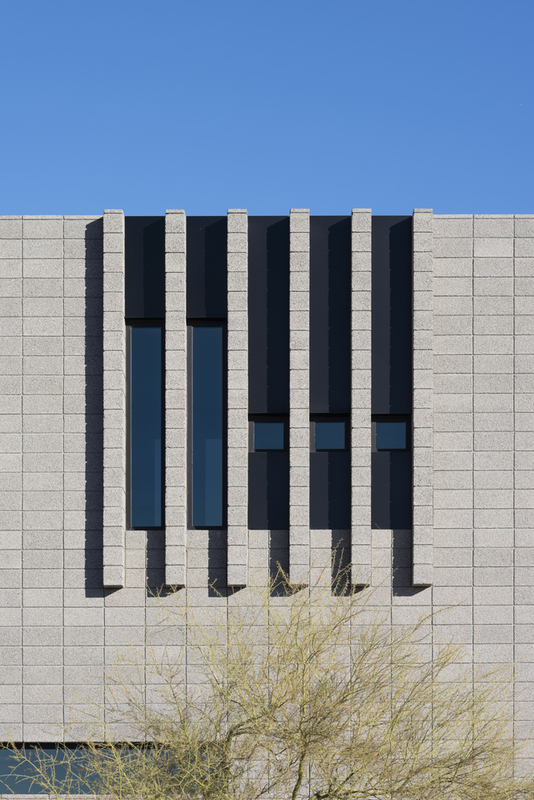 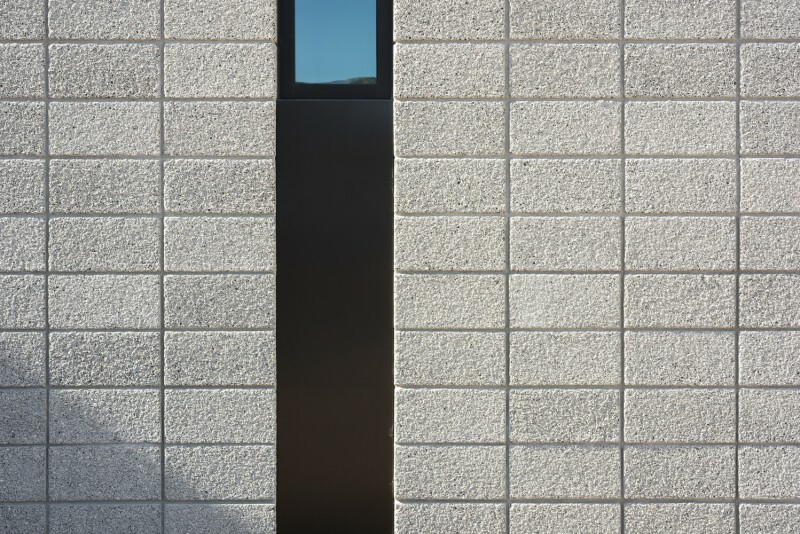 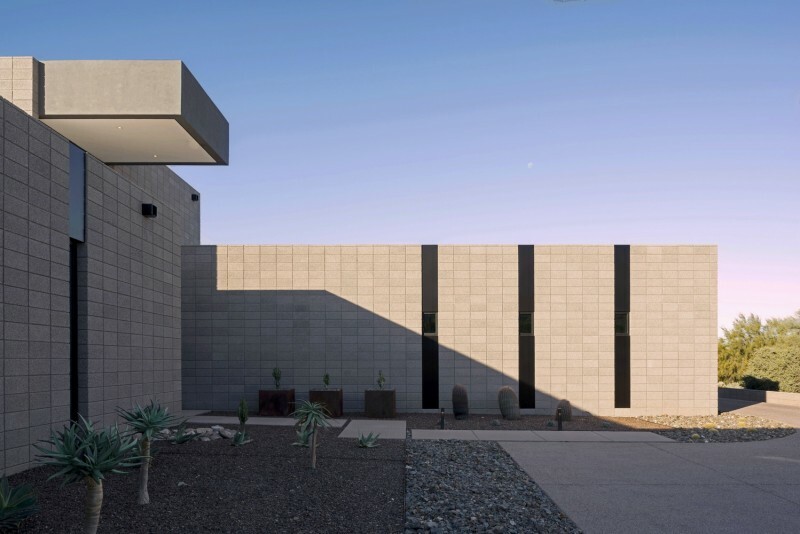 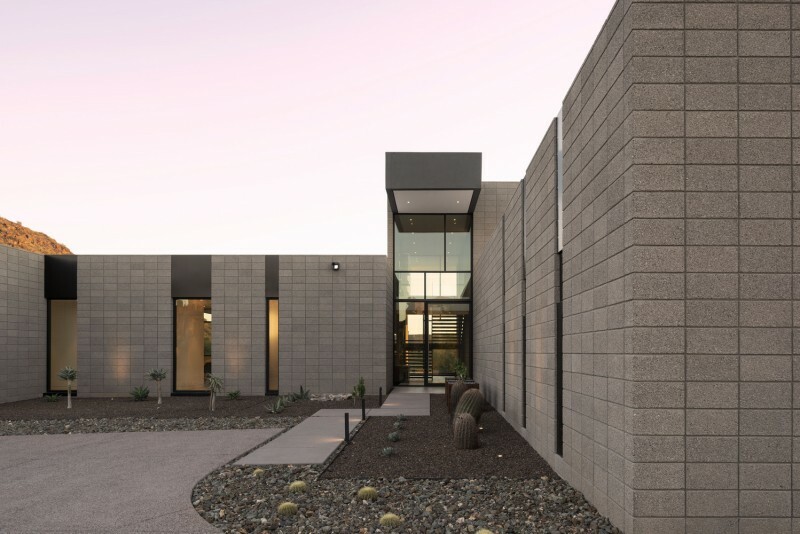 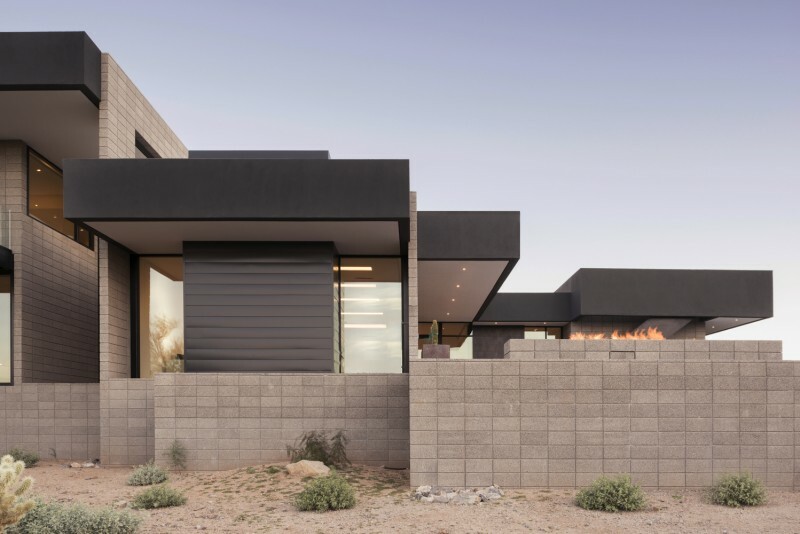 The geometric layout of the planters and sharp edges of block walls, accented with dark metal slots and apertures, stand against the backdrop of the mountain and desert brush. 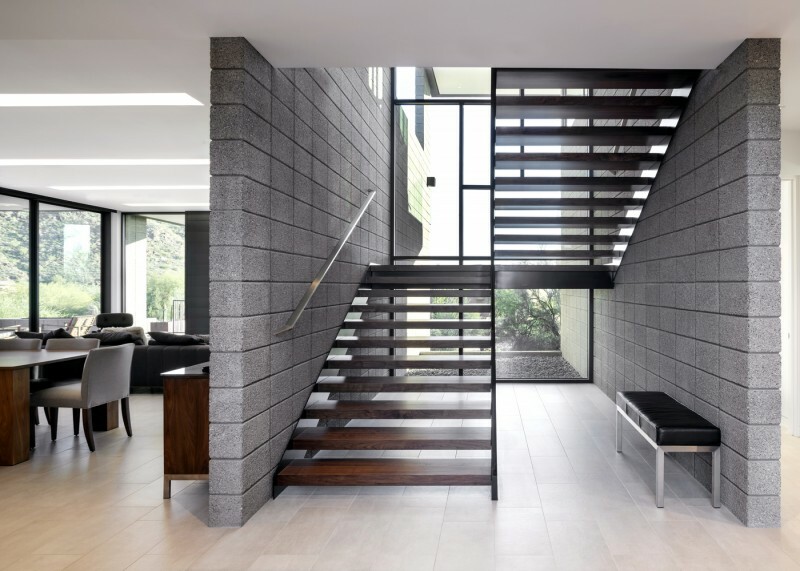 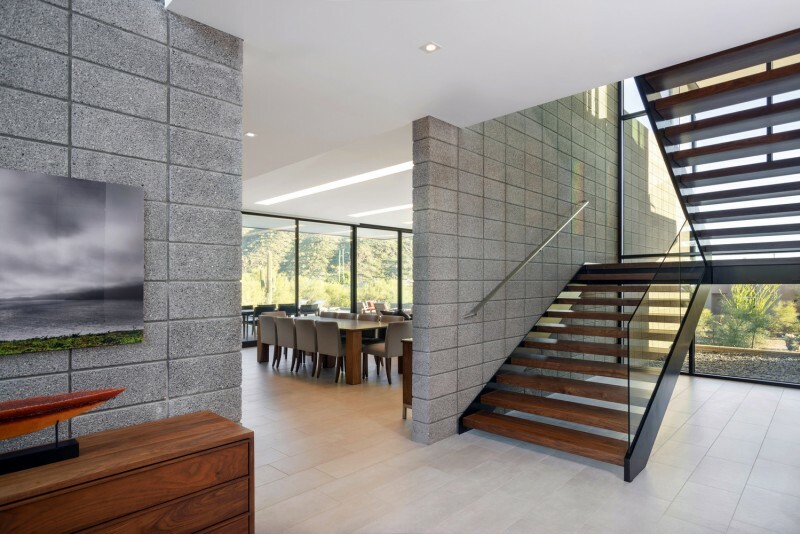 Entering the tall volume of the foyer not only connects one to the picturesque desert through a soaring two-story window but also calls attention to bands of light intermittently cast through the walnut stair treads. 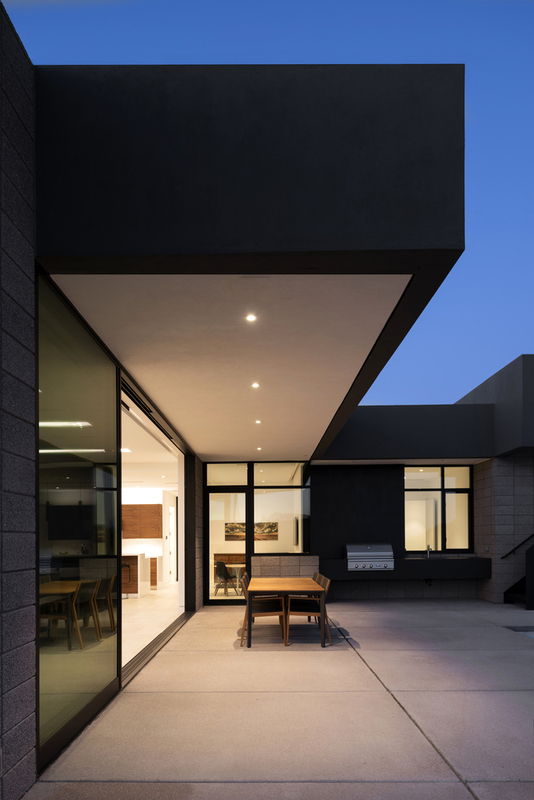 The plan is carefully organized to shield views of the neighboring properties while an ample wall of retracting glass choreographs the flow of air and light, allowing the home to become an extension of nature. 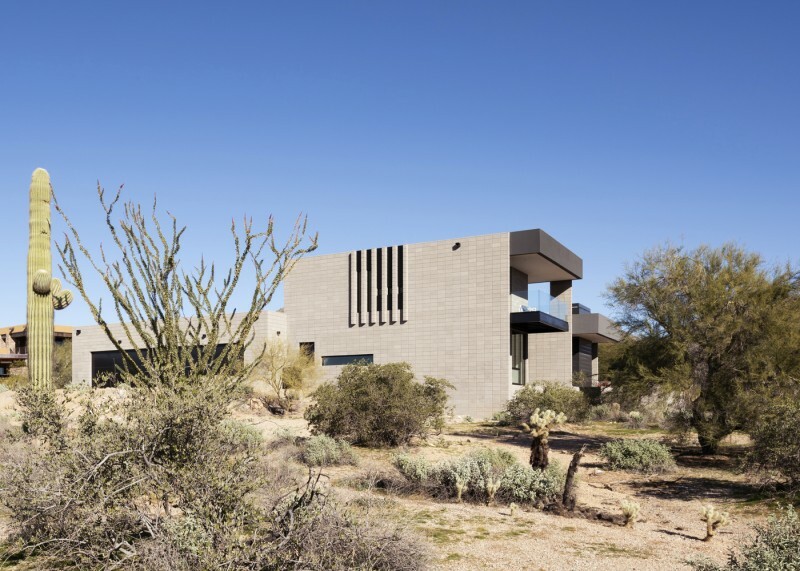 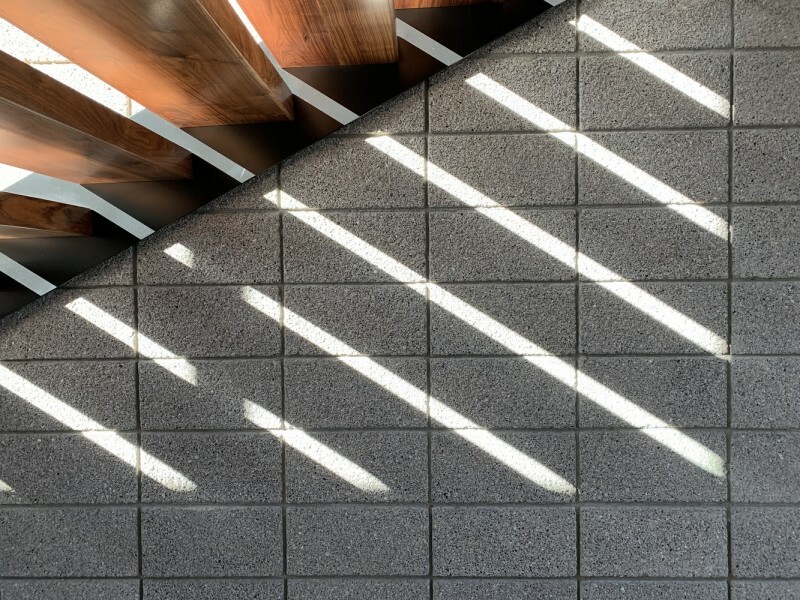 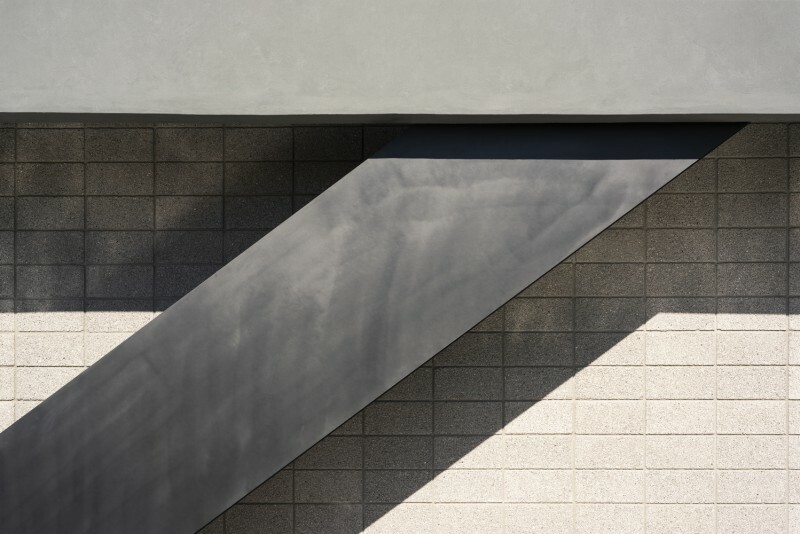 Outdoor recreational spaces, sheltered by deep cantilevered roofs, are framed by low concrete block walls to maintain continuous visibility to the desert context. 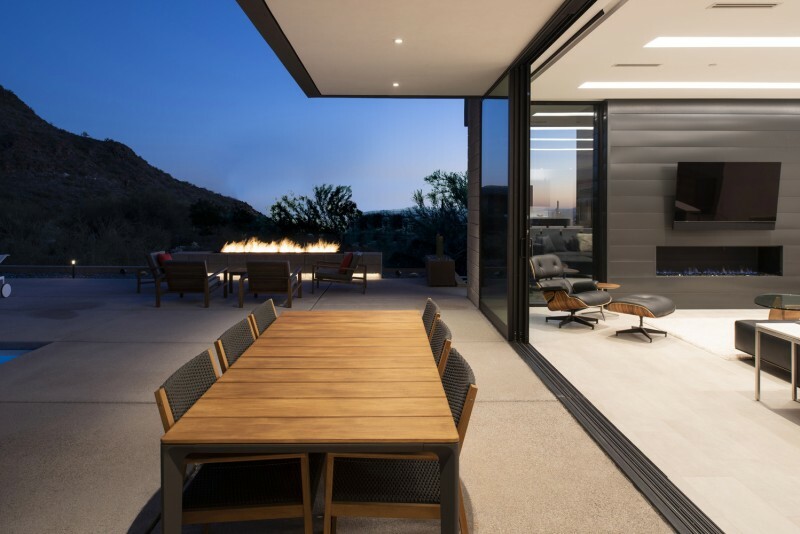 The terrace provides a peaceful platform for watching the sunset give way to the twilight skies and sparkling lights of downtown in the distance.